A lot of people use this phrase to push themselves towards a goal. The problem we usually face is one day we want it and another day we don’t. For most people the longer it takes, the less they want it. My opinion is that question targets your desire. But your desire is random. You want all kinds of things. Like right now you could want ice cream and cookies or a massage. 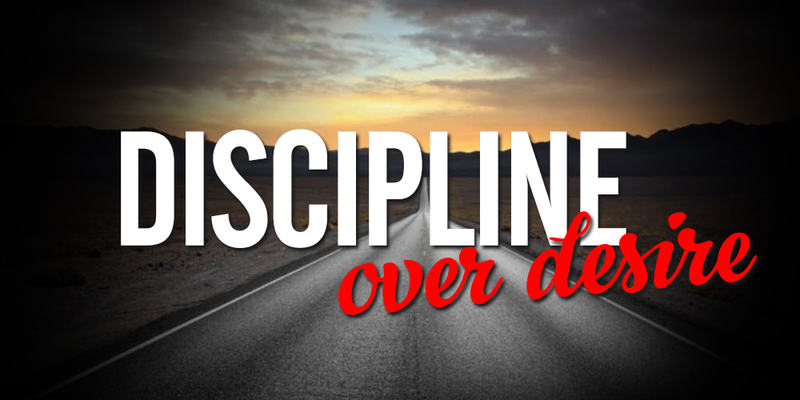 To truly achieve anything that you desire, you must have discipline. Discipline will enable you to go the distance regardless of everything going on in your life. You need to develop a blatant, harsh, no b-s mentality that you have to sustain until your objective is reached. That level of discipline is extremely hard to achieve. My daughter just completed a goal of perfect attendance for 3 years. She set that goal for herself 3 years ago. 3 years of showing up doesn’t happen from desire. In fact she would have totally forgotten the goal had she relied on desire. If you take into account all the days she was sick, the days she just didn’t want to go to school, to get past that and keep going requires discipline. I also had to have discipline in order to assist her in achieving that goal. I had to make sure she was there, on time, ready to go, for 3 years. Ultimately it becomes a routine, you get up and go but to get to the point that it becomes “automatic”, you have to depend upon discipline over desire.